Sleep apnoea is simply a name given to troubles with breathing at night as a result of snoring and narrowing of the throat. As we go to sleep, our brain relaxes control of the structures at the back of the throat and there is naturally a reduction in space. There are some factors that may predispose us to sleep apnoea such as getting older, carrying extra weight or having a blocked nose, amongst others. As a result, breathing may become laboured, which in turn causes subtle and at times major disruptions to the flow of breathing. Sleep is broken due to interruption to the brainwaves, which robs you of the refreshment that sleep should deliver. Sleep apnoea is a step along but in the same spectrum as snoring. 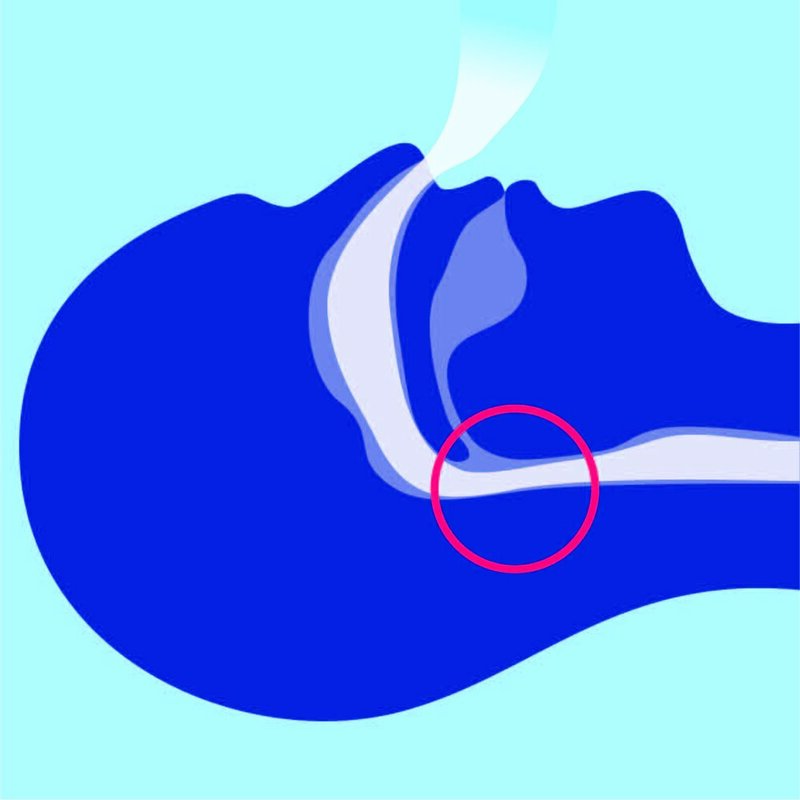 Most snorers have a degree of sleep apnoea but don’t know it. You can have sleep apnoea without obvious snoring as well. Furthermore, most people can’t recall what happens to them overnight and will often say swear there is nothing wrong, or if they do wake up at night or toss and turn, they will not remember the following morning. There are a large proportion of thin people who have sleep apnoea, and they usually have a narrow throat structure. Thin and apparently healthy people who have sleep apnoea are often labeled as having chronic fatigue or depression when the real culprit is sleep apnoea and its variants. So the stereotype of being large or obese doesn’t apply to everyone. A proper review of your complaints and bed partner observations, combined with a thorough examination and consideration of other contributory health issues is required. Testing in the form of an overnight sleep test is the best way to document the amount of abnormality and put a value on the disruption to brainwaves (sleep quality) and drops in oxygen. Although a minor degree of breathing abnormality at night can be considered normal, most people who think they have sleep apnoea will have more significant abnormalities which should be addressed. Untreated sleep apnoea carries significant health implications such as changes in memory, mood, personality and vitality at one end of the spectrum, up to heart attacks, strokes, unstable diabetes, sudden death at night and even blindness at the other end. Did you know that if you have untreated sleep apnoea and you are overweight, it is almost impossible to lose and sustain weight loss? Not only are you tired and failing to use up calories, your appetite centre has been programmed to increase food consumption, particularly the wrong types of foods (high calorie foods), increase your desire for snacks and increase your desire for food at the wrong times of day/night and in increasing amounts. Untreated sleep apnoea has been shown to increase the chance of cardiovascular disease and death by up to 500%. This is because stress hormones are released, oxygen is lowered and blood pressure is raised. Blood is also more likely to congeal and blood vessels constrict to form clots. Arteries thicken and age prematurely with atherosclerosis. These physiological effects are magnified by the chronic degree of sleep deprivation. Drivers with sleep apnoea are many times more likely to have a car accident and kill themselves or others as a result. This can be due to micro-sleeps which are hard to predict, as well as drowsiness and inattention. Accidents are more likely for those who drive for a living. Untreated sleep apnoea leads to a lot of low-grade annoyance and suffering that is often hard to define. People will complain that their memory and thinking is not as clear, that there is a degree of grumpiness in the household and energy and application to work is diminished, particularly in the afternoons. Some people find it really hard to get up in the morning and shake off a sense of lack of refreshment and fatigue, despite what would be regarded as adequate time in bed the night before. Some wake up with a headache and a sense of fogginess like a hangover. Effective treatments are available but the first step is to look at potentially reversible factors. Things such as weight loss, improving nasal patency, sleeping more upright and on your side, reviewing medications and any other obvious factors should be overcome at the outset. Treatment will be guided by a sleep test. More severe abnormalities should be treated promptly, while less severe abnormalities allow for time and basic manoeuvres to be undertaken. Further treatment options which can be organised are mandibular advancement splints, CPAP treatment and selective surgeries. A sleep disorder physician can tailor a plan that encompasses your wishes and the most fruitful treatment for your particular situation and state of health. There are a range of magic pills, potions and gadgets that are marketed within the community that are often clinically unproven and more commonly completely ineffective. It is important that a degree of caution is exercised before embarking on an expensive and unhelpful pathway. NSD primarily tests for evidence of sleep apnoea. If you are experiencing any of the below symptoms, a consultation with a sleep specialist is advised.